I don’t suppose it is ever possible to totally exclude the possibility of fire unless there are no energy sources or combustible materials involved, however a simple, basic risk analysis goes like this. Even without knowing much detail of the internals of the device, logic tells us that the device could fail with either an open circuit, or a short circuit. An open circuit would be an issue if it prevents some safety device to not work, but otherwise not usually too much of a problem. With your battery monitor, it would cease to provide useful information, but no really unacceptable consequences. If it fails in short circuit, in a location that results in the battery discharging through the short, the heat could result in a fire if the short is maintained long enough before some component fails to the open circuit condition. Now we can’t practically prevent the short from ever happening, but we can protect against the consequences. This is done by inserting a fuse in the circuit in a location where the fuse blows, giving open circuit in the location we are considering, so no further heat generation. For your battery monitor, you have very fine wires connecting the battery voltage to the measuring device, possibly from more than one battery bank, which are expected to carry almost zero current, a fraction of a micro amp if you can measure it. And possibly a separate supply for the device. This will carry a current of some milliamps, so would cause a voltage drop which would affect the measurements if the sensing wires are used, so should be separate wires for both positive and negative. The Victron system has a common but quite heavy gauge positive connection to a circuit board on the shunt, then a multi core cable to the back of the meter. And it uses the negative cable between the battery and the shunt for all loads. I suggest that this is a practical compromise, reasonable as the shunt should be placed close to the battery, and it is likely that the multi core cable to the meter carries separate meter power supply and voltage sensing cores. Your purchase may be similar. So, in principle, simple fuses, one in each of the battery positive lines would protect you from the short circuit by blowing, and because the intended current is so low, any low current fuse will do, say 200 to 500 mA. Two fuses for a monitor covering a single battery, and an additional one for each additional battery being monitored. Again, the Victron scheme, has a fuse in each battery positive, so is adequately covered. It gets pretty untidy and a pain to trouble shoot if you simply put in-line fuses in each one, though that approach will work. Better is a little fuse block with all the fuses in one place. Because of the sensitivity of the instrument to voltage loss in the sensing lines, these should to be kept quite separate from other circuits, you can’t use a common negative wire, for example, beyond that short heavy negative connection to the shunt. And if you place the fuse block near the batteries, you will be protected for even a short in the wiring, perhaps by rubbing if they are not well secured. All easily done for peace of mind. A similar process can be conducted for the charge regulator, but that is a little more complicated. This post is already long enough, but I can do that in another post if anyone is interested. Provided you install the necessary fuses, of appropriate rating, you should be able to rest a bit easier on the fire risk. Oh, one last thing, a good risk analysis requires the independent ideas of more than one participant, so comments or questions on the above are invited and welcome, though no red herrings please. I will connect a 500mA fuse if it does not exist in the original box. Hi Erkan, you are very welcome. I hope the logic of that process helps put your mind at rest and gives you a process for looking at other issues. Welcome to the forum. Thank you for that reference. Also, you trawl through some of the older posts on this forum, there are quite a few giving more information on those batteries that may interest you as well. An update on my original post and feedback. I am still on this same trip and still have not resorted to any marina/shore power nights. After reviewing the kind and thoughtful advice on this thread I changed my habits a bit. First I spent a week or so being very aggressive in my charging with the generator to try to refresh my batteries as much as able. Then I followed the advice and ran my generator for a shorter time each morning. The sun seems to do its best work with my solar panels for about 5 hours each day and if not shaded they easily keep up with the draw from fridge and freezer during the day, sometimes with some left over to help charge the batteries. I try to charge the batteries as much as possible each evening before night time nuts down. And I start over each day. On a few days I have motored a few hours and this might have helped also. So, three months into the trip and I am doing OK with the factory setup. 5 lead acid batteries, each 105 amp hour rated, and 200 watts of solar panels mounted on the cabin too. This seems to require 2-3 hours of genset charging time to keep up. My current thought is that I will see what these batteries are still capable of when the trip is over. I suspect they might be pretty worn out. For replacement if needed I will give serious thought to LiFepo4 batteries due to better discharge range and more efficient charging. 4x100 amphour of these might be a lot more capacity usable than my 5 lead acids. Also adding another 400 watts of solar mounted on a rigid frame over my Bimini should help a lot. And again thanks for all the experiences advice here. Now for one more question: since I do not have a good system monitor yet all I have is the voltage and amps shown on the Sheiber panel. With 4-6 amp current draw being shown I see about 12.5 volts after a charge and 1.8 or so in the morning. Checking at the batteries, but not disconnecting them I get similar readings. What are others seeing? Hi Moonshadow, that looks like great progress. In your original post you were running the generator about 5 hours a day, so you have reduced that by a couple of hours, so saving fuel, and seem to be keeping your batteries up a bit better as well. Thankyou for posting this update, actual long term operating experience is not often written up so clearly. I guess people either give up, or solve the problem so it goes out of their mind. I would still consider the battery monitor as a nice to have, rather than a necessity, and that from one who loves to measure everything. (I had better go wash my mouth out.) But really, the battery voltage tells you whether the battery is happy with its current state, and gives a rough idea of state of charge. The extra you get from a monitor is a more precise measure of whether you are gaining or losing on any particular day, so you, nice to have when you want to buy a present for the boat. They still have inaccuracies due to charging efficiency and rate of charge/discharge factors that are difficult to define. For the moment it is enough to know that over an extended time on your cruise, your consumption is just balanced with your generation of the combined solar and generator hours. I would suggest your voltage after charge of 12.5 is acceptable but a bit low, in that it means still a bit short of fully charged, even allowing for my suggested 90% as maximum practical. That should give 12.7 or 12.8 at least after a rest with no charge or discharge. Immediately after charging it would normally read a bit higher again, though it settles after a quarter or half hour to a useful reading. I assume you mean 11.8 V in the morning, probably acceptable for your present situation, though in an ideal world, I am more relaxed when I can keep it over 12.0 V. The voltage varies with temperature as well as state of charge, so it is not necessary to be more prescriptive about precise values. May I suggest that your battery capacity is in the area of just adequate for your present consumption, though a bit more capacity when they need replacing would be more comfortable to see you through the night. But more battery capacity will not reduce the necessary generator run time. I would start by at least doubling the solar capacity, but preferably more if you can reasonably fit it in, but it’s enough to need some thought on how to mount it all. There were some estimates of your total consumption in one of the very early posts which suggest double is about right for your consumption, but more is needed to allow for those battery charge efficiency factors. To eliminate the generator running, you need to replace it by solar (or wind), to replace all you use each day. Extra battery capacity will help you through a cloudy day, but eventually you have to generate all that you consume, and a little more is better if you can conveniently install it. I agree fully with the above. It should be easy to triple my solar with two newer panels and easy to mount over the Bimini in a rigid panel mounted on a frame above the Bimini support tubing. The monitor is definitely on my list. I have about a month more to go on this trip, and the days are getting longer which helps. I am going to look into adding a small wind generator to help overnight needs but I will have to learn about integrating all that into a working system. Honestly to remain comfortably away from shore power for months during the short winter days for months at a time I would do some major changes. Change my 5 house batteries to LiFePo4 batteries. This would cost a lot. But would add a huge amount of capacity for lighter weight and charge faster. I know that over time this sounds like a worthwhile choice but might have to wait until I see what the other changes result in. Looking forward to seeing how the 400W solar goes, I want to put solar on mine but hesitant to put it on the Bimini, I like to sail with it stowed sometimes for better visibility of the sails. You got a couple of months before you head back to that great big shopping mall west of you. 1. Get as big as solar panels as you can. We went with a combo of 130 to 150 and currently have 550w of solar with a Blue Sky 3024 controller. 3. Put more house batteries on. That freezer really takes a lot of power. We have a Frigaboat with a greatly enhanced freezer compartment and it uses a lot but if we were to add a freezer we would have an issue. After 12 years out here we see little need for a freezer even though at each boat place or show we attend we look at an engle and ask ourselves why. We have 6 6v trojan t105 and they are 6 years old and we just had them checked and looks like we can get one more year out of them. Think about changing out your 105w solar for bigger ones. We have 654 watts of Solar and a Victron MPPT controller. I like the Victron because it has bluetooth connectivity to my phone and provides the daily charge profile and a lot of history. I can see the batteries go from bulk to absorption and float on my phone app. I also have a Xantrex battery monitor. I am not convinced I need a wind generator. Mostly we try to moor out of the wind. We also like to sail downwind. It seems if we are happy the wind generator will not work well. Anyway our solar does keep up with our needs but only just. If we had a freezer or many more toys we would struggle a bit. I've got 2x 150W semi-flexible just arrived today with an MPPT, i've got a 4KW Advance Yacht generator onboard as well. I'm hoping the Solar will take the bulk of the work and just have to run the generator now and then. Keeping the panels mobile for now until i see how they go, might just keep them loose with an extension so they can be best placed while at anchor.....but we'll see. -Remember that the greater the state of charge of the battery, the less efficient you will be at charging it per hour of power source. Many cruisers have found it more efficient to only try and charge their battery up to an 80% State of Charge (SOC) since above that you start to get diminishing marginal returns. Very few charge it up enough to get it on the float when it is being charged by internal combustion (solar of course, who cares). -For battery monitoring, I bought a very affordable Simarine Pico battery monitoring system and I love it. Wasn't very expensive at all. I only currently have one 300 Amp shunt installed along the main negative cable from the house battery bank (between the battery bank and the main isolation switch), so I don't yet monitor individual branches, but it tells me the net discharge or charge rate plus the calculated SOC which is perfect. I have found, both using the Pico voltage as well as verifying with my own hand-held voltmeter, that the voltage shown by the Schreiber panel can be several tenths of a volt off (reading low) which is a huge inaccuracy if you are just using voltage as a proxy for SOC. For the longest time I couldn't figure out why my five brand new Deka AGM batteries would only read 12.6 volts after being fully charged when they should be reading 12.8 per the manufacturer - they were reading 12.8, but the panel voltage readout was low. The display screen is only like 4" by 3" wide and I mounted it next to my AC source selector switches, the same panel area where the generator control is. -Solar: I am 99.999% sure that the two factory solar panels you have are Solara S220P43, which are 55 Watts each. The smallest of the nicer panels which put out 110 Watts each, the Solara S440m34, the length would fit but they are too wide (659mm equals 26", but the width space per panel is only about 19"). They would be good for keeping batteries topped off if the boat were on a mooring ball with the electrical loads turned off, but not much else. What I did on mine is install four 100 Watt panels on top of the dinghy davits, wiring them in a parallel-series-parallel configuration, and it has been amazing. Bought a Morningstar Prostar MPPT 40 Amp controller (which by itself cost more than all four panels combined), and it's been great. -Amp draw: One thing to check is the sensitivity responsiveness of the autopilot. If you have Raymarine like I do, on the small square autopilot interface if you go to Settings you can select Response Level or something like that. It defaults to level 5, which has the wheel turning all the time. For me, when needing to keep a tight course is no longer much of a concern (i.e, out of any tight channels etc. ), I set the sensitivity level down to 1. The wheel only turns once every few seconds so it is a big power savings. Also check the radar, when I am away from high-density contact environments I turn it on the "intermittent" (can't remember exactly the term) setting where it does like 10 or 20 rotations then take a 3-5 minute break. That's another big savings on consumption. The two solar panels I just got are 150W each and fit nicely in front of the sprayhood but theres a lot of shading from ropes, shrouds and the mast. Haven't had a chance to try them properly as when i tested them yesterday the battery was well above 80%. 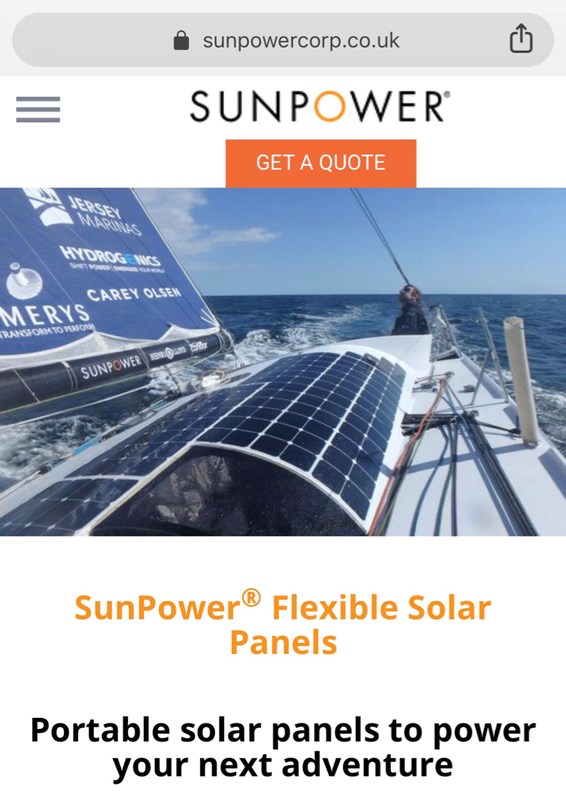 Although more solar and more capacity will help a lot, it can be done fairly well on the boat’s original equipment. The original Sheiber panel volt/amp meter is very limited but nonetheless a useful guide, once you learn your own boat’s needs, for when to charge etc. Accept the fact that I am living on only about 30% of the rated battery capacity. The freezer eats up a lot of electricity. Without that I suspect it would be a lot easier. My simple two solar panels in perfect conditions pretty much keep up with fridge and freezer most of the food daylight hours. Using the on board generator for a few hours per day for bulk charging is most effective. Maybe I should motor a bit more, but I generally sail to move around. In the future I will look into power upgrades. The big concern is really overnight so that means batteries (really only very expensive LiFePO4) or wind. More solar is easy to add and least expensive and will certainly help. Once I return home I will do a complete charge, float, load test etc and see if I killed my batteries or if they are still capable. Even if I did ruin my new 5 batteries (105 amp hour each) during this trip, that is $1000 usd and cheaper than any of the upgrades considered. So for a single long trip is actually not that bad. The Cummins/Onan diesel generator has been a great asset. Very quiet and supplied hot water and good electric for charging phones, running my 110 volts Watermaker (35 gallons per hour Rainman portable, semi-installed) etc. I spent a few nights near boats that used a portable gas generator on deck and I don’t like that noise at all. And again, even though the stock configuration on my boat is not perfect it really is capable of long trips with some thought. Thanks to all for the tips and advice. And I remember some of the best advice I ever got was.... the best boat to take cruising is whatever boat you have. Enjoy what it does and learn to manage what you have! The solar panels i'm looking at are www.bimblesolar.com/150w-semi-flexible and are nice and light. So i'm going to look at putting 4 of them back there. Wire them up in 2x banks of 300W in series, means i'll need a MPPT that can take 2x 24v inputs but splitting them like that should mitigate some of the shading issues, although being mounted on the stern I hope that won't be an issue. Added benefit is some shade on the stern platform as well. Thanks for sharing your plans. Sounds impressive. I am thinking of a few panels mounted on top of my Bimini. I’m getting differing advice on whether to use a solid frame for panels and mount a few inches above the canvas or attach directly to the canvas Bimini. Either way they should not be shaded often and I can’t see them. Any thoughts on hard frame? I like to be able to stow the bimini for sailing if it’s not too hot, gives a much better view of the sails. I have no complaints of the solar panel capacity on our boat , far from , but closing in on sunset the need for electricity rises due to lights , TV , charging Ipads & phones , ventilators during the night , etc. And this is where a wind generator ( Air breeze ) comes in handy . Often the wind keeps blowing into the evening , and this is an underestimated source of energy. Last summer in July we lost the output of our air breeze , it just went dead and stalled/brake on each wind blow ( if you want to know why just PM me ) . Having family on board I couldn't be bothered to find out what the problem was , but from that moment on we had to run our generator after dark for several hours/day to compensate the energy draw for the TV to entertain the kids . Not to mention the fridge (or two of them) pulling on the battery banks. What I'm trying to say is that a wind generator is an addition to the energy management on a live-aboard boat . Many times ( not always) wind-energy kicks in where solar has gone to sleep . How you solve the problem with the noise from the windgen ? Strange enough our wind generator makes more noise at low wind than in a near gale . But it's not a problem , on the contrary , the distinct noise alerts me when the wind is easing down or just the opposite . An acoustical wind meter so to speak . I'm sure you're aware there are these blue carbon blades that claim to be dead quiet . Very pricey though .